The tech is coming to the Detroit Institute of the Arts and other museums around the US. Everyone thinks augmented reality (AR) is loaded with potential, but what besides Pokémon Go can you actually do with it? Google is providing a concrete example by bringing its Tango technology to museums. 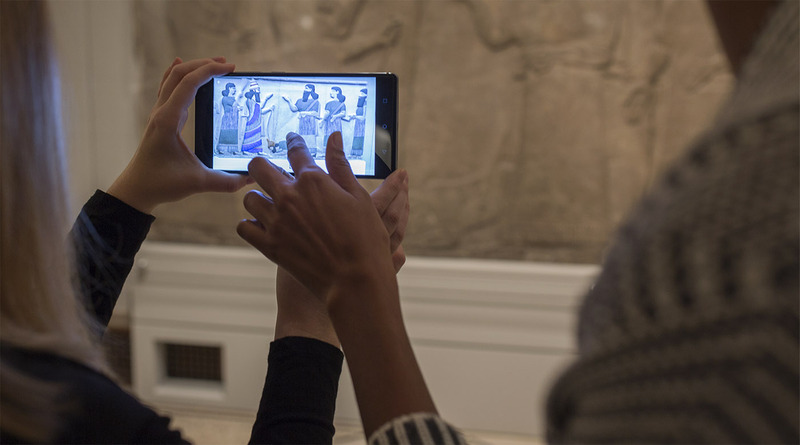 At the Detroit Institute of Arts, visitors will be able to snag a Lenovo Phab 2 Pro phone and explore Egyption mummies and other exhibits. The tech will let you peer "inside" a sarcophagus, for instance, to see ancient skeletons and other hidden artifacts. Google's Tango tech is well-suited for indoor exhibitions, as it doesn't rely on GPS, inertial sensors or WiFi tracking. Rather, it uses Kinect-like computer vision to detect and track its surroundings, so it can realistically overlay virtual images no matter where you are. So far, Lenovo's Phab 2 Pro is the only device equipped with the depth sensors and other tech required for Tango. However, the ASUS ZenFone AR, launched last week at CES, also supports it and will go on sale sometime this year. The Detroit Institute of Arts (DIA) worked with GuidiGo on an AR tour that features overlays and visualizations, along with games and quizzes. (The same firm developed a Google Tango tour for the Museu Nacional d'Art de Catalunya that we saw at MWC in Barcelona last year.) The DIA's tour lets you see the skeletons underneath the Egyption Mummies' sarcophagus and bandages (above), grasp the scale of the Ancient Babylonian Ishtar Gate (below) and see the original colors, long since disappeared, on ancient Mesopotamian limestone reliefs. Google says that the DIA tour is just the beginning and that "we're working with other museums around the world for future exhibits." The tech has also popped up at BMW dealers and other companies, so it's being used to sell as well as educate. What we really want, of course, is for Google to expand more into gaming and let us blast mummies instead of learning about them.